Haritaki is known to remove toxins from the body and keeps the digestive system healthy. 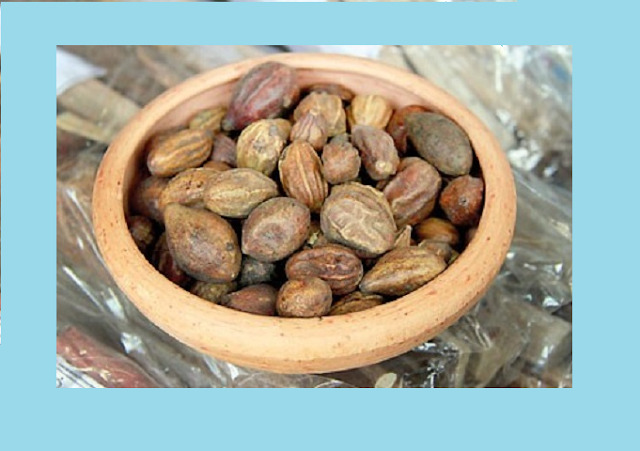 Widely used in ayurved and treats a wide variety of health issues. The plant bears flowers which are small, yellowish and grow on long white clusters. The fruits are 1-2 inch long, oval and the back surface has 5 prominent stripes. 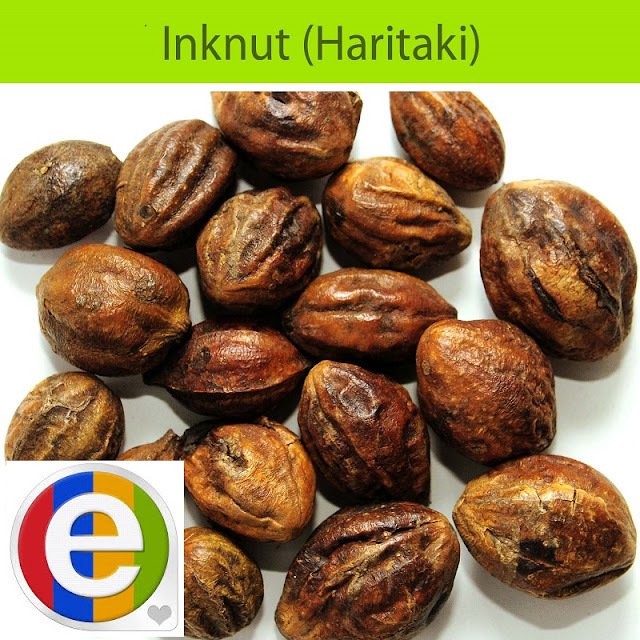 The fruits which are plucked before seed formation are known as Harad. These are dark yellow. The fruits which are plucked when completely ripe are known as big Harad. 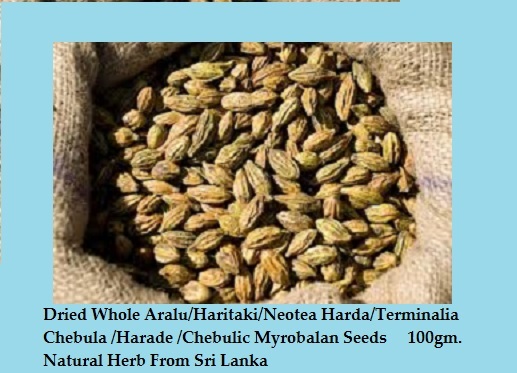 Terminalia chebula (Yellow Myrobalan or Chebulic Myrobalan; Sinhala: අරළු (Aralu), Tamil:கடுக்காய்(Kadukkai);മലയാളം [ "കടുക്ക" ]Assamese: Xilikha; Urdu: ہریڑ; Chinese: 诃子 he zi; Gujarati: Himmej; Telugu: Karakkaya; Sanskrit: harītakī, हरीतकी; Bengali: হরিতকী horītokī; Tibetan: A-ru-ra) is a species of Terminalia, native to southern Asia from India and Nepal east to southwestern China (Yunnan), and south to Sri Lanka, Malaysia and Vietnam. Payments Are Accepted By Paisapay and COD only. Paisapay Is The Safest Mode Of Payment. We ship within 48 hours of accepting payments except Saturday, Sunday and National Holidays. 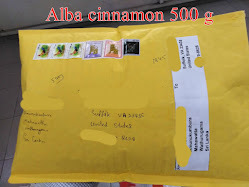 We will send it to you through Sri Lankan Post. If you have any questions about shipping, ordering, or the plants themselves, please feel free to send me a message through eBay messaging or email address given below. I will be more than glad to answer any questions I can either from my own extensive experience or will do my best to try to find an answer for you. 1. Germination depends on suitable climate, suitable temperature, preparation of soil. We have no control over those. 2. Product colour and shape can slightly vary than image shown. 4. We ship it all over Sri Lanka.